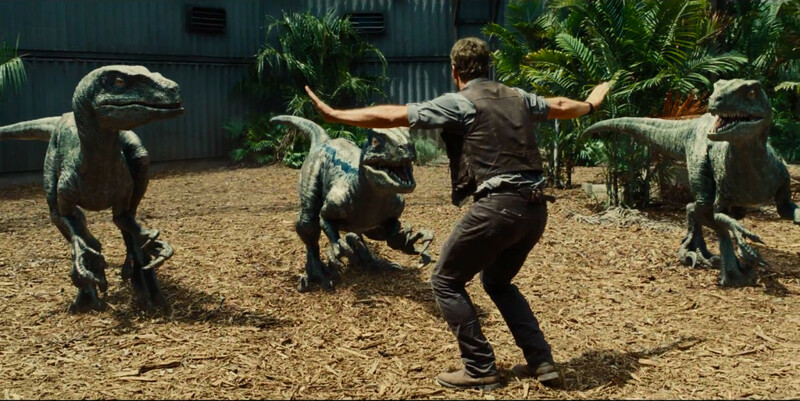 2015 was the Year of Movies That Shouldn’t Have Worked But Did. I’m a nerd who has lived through the hype and ensuing disappointments of the Star Wars prequels, the Star Trek reboot, and the whole weary grind of big-budget calamities based on pre-existing properties that makes up the bulk of our movie-going schedule lately. This year, however, brought so many genuine surprises that I feel like Scrooge waking up on Christmas morning, believing for the first time in a long time that things might just be pretty great after all. In that vein, I up and moved this summer from my hometown of St. Louis, Missouri, to Los Angeles, California, to pursue screenwriting, in the hopes that I could tell stories worthy of those I’ve experienced this year. I don’t feel like I’ve seen enough of this year’s offerings to list a proper Top Ten, but here are my top five pleasant surprises of 2015, in order of their US release dates. I’d worked a crushingly early opening shift with no time to nap before I saw Mad Max, and I worried that if it didn’t live up to the hype, I’d doze off. I didn’t. Directed by a 69-year-old man whose most recent credit was an animated musical featuring dancing penguins, Fury Road exploded onto the scene this year in what many have dubbed the best action movie of the past decade. 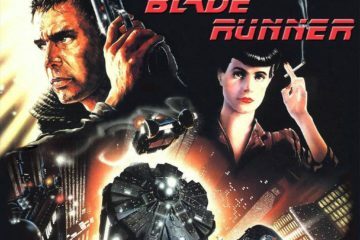 No shaky, herky-jerky camera moves or schizophrenic editing of shiny CGI monsters punching skyscrapers—just lots of practical cars and trucks driving through the desert while real actors and stuntmen shoot guns and flamethrowers and dangle inches above the ground at 60+ miles an hour. Not to mention that its primarily female cast—with the titular character basically a sidekick in his own movie—showed heart and nerve and took us on an inspiring, revolutionary journey. Director George Miller’s old-school approach showed the youngsters how it’s done while breaking gender stereotypes and challenging greedy, oppressive political systems. ©2014 Disney•Pixar. All Rights Reserved. Pixar teaser trailers are usually small cinematic masterpieces of their own, but the early promo for Inside Out was one of their most inexplicable since Cars. It was hard to even grasp what the premise was, and once it was finally announced—a little girl’s anthropomorphized emotions try to keep her on an even keel after she and her family move away from home—it sounded cerebral and dull. As it turns out, the adventures of Joy and Sadness thru Riley’s brain as she comes-of-age hit all kinds of emotionally authentic buttons—and levers, and dials, and switches, and lightbulbs. It had me ugly-crying harder than a weekend-long Claire Danes marathon, and feeling better about life and all its ups and downs in the process. Matt Damon’s botanist faces the grim reality of dying alone on a desert planet, while believing against all realistic expectations that he’ll survive and make it home. Similar inner conflict plagued me as I sat down for The Martian—with a screenplay by geek darling Drew Goddard, but directed by Ridley Scott, who just doesn’t seem to be able to make anything work since his early days as director of such icons as Alien and Blade Runner. Hope rose again, however, with Scott, Goddard, and crew rising to the occasion just as much as The Martian’s smart and plucky cast of characters. While much of recent science-fiction has wallowed in the grim, post-apocalyptic corner of the genre, The Martian made it cool to be smart, and cooler still to be an optimist, daring us to believe again—not only in the possibilities of humanity, but also in Ridley Scott. I can’t write a synopsis of Room that doesn’t sound like something that the David from two months ago would have scrolled past in boredom, and I similarly can’t describe the depth of my emotional response to the brilliantly-crafted tale (emotional authenticity is one of many running themes through my favorite movies of the year, as it turns out). Director Lenny Abramson’s previous movie featured a character wearing a plastic head for the duration, while screenwriter Emma Donoghue hails from Ireland, far from the Midwestern setting of her story. 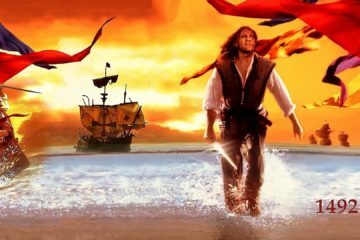 The film takes chances with its plot structure, and in its casting of a seven-year-old actor as the view-point character, and somehow comes off as both grounded in realistic detail and filled with dreamlike wonder. Even if it was the most brilliant film ever made, nerds would have found reason to tear The Force Awakens into tiny shreds. And they did. And no one cared. In the short couple of weeks since its release, Star Wars Episode VII has only grown in popularity, box-office returns, and the affections of die-hard fans and newcomers alike. It’s like that cool person you meet at a party that can’t possibly be as great as everyone says they are, but the more you get to know them, the more you realize you really, genuinely like them. The film isn’t perfect, but with its heart, humor, and good-natured sense of old-fashioned adventure, it has so thoroughly wiped away the bad taste of the prequels, that nerds everywhere seem to have found once more their capacity for forgiveness. You didn’t really think I was going to use any other image for this one, did you? 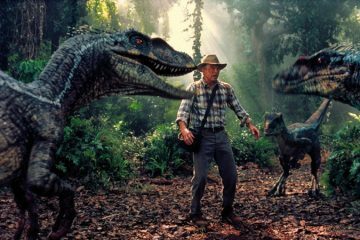 Having seen the original Jurassic Park several times in theaters the summer it came out, I was primed with just as much nostalgia as anyone else going into World. 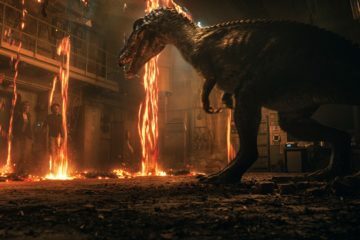 The fourth movie in the franchise unfortunately left me cold, but the rest of the movie-going public did not agree, turning Jurassic Worldinto an all-time world-record-breaking phenomenon and propelling sophomore director Colin Trevorrow into a coveted spot helming one of the new Star Wars films. 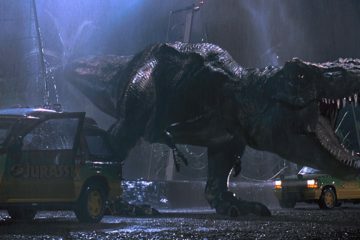 We all acknowledge that Hollywood is sequel/prequel/reboot happy these days, exploiting known properties for bankable bucks rather than taking risks on original material, but keep in mind that the first two Jurassic sequels were completely forgettable—except maybe for that one scene where the little girl does gymnastics kung-fu on the raptors. 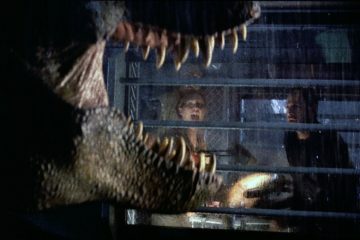 Also, this movie inspired the High-Heels Edition parody of Jurassic Park, which I feel makes the world a better place to be in. On the other end of the spectrum, here’s a film that critics and audiences didn’t much care for, but I found very special. 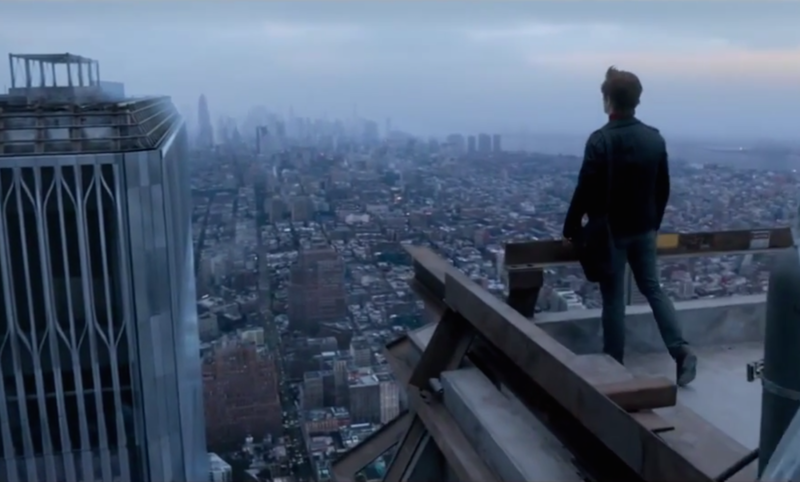 One artist’s quest to do something memorable unspools in heist-movie style, with director Robert Zemeckis rebuilding the Twin Towers through CGI, great big set pieces, and movie magic. 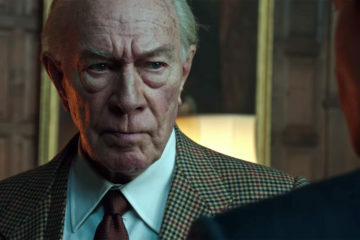 Many viewers didn’t care for actor Joseph Gordon-Levitt’s accent, or the fact that the movie is retelling the same events as the notable documentary Man on a Wire (which, full confession, I have not seen), but I could not tear my eyes, or my heart, away from this spectacle—and I’m as terrified of heights as Gordon-Levitt’s sidekick. Maybe this year I just appreciated the story of someone taking one great big step into the unknown. After getting his money’s worth out of his film degree by working at Starbucks for seven years, David Strugar packed up and moved to LA to pursue screenwriting. He currently spends his time blogging, watching movies at Arclight Cinemas, and walking around his apartment in a feather boa complaining that the pictures have gotten too small for him.